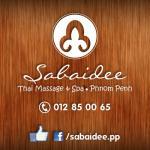 There are plenty of massage places available in Vientiane. What I am talking about is massage and spa, not the one with the special service. If you like to go to spas, then I recommend Champa Spa right in the middle of downtown Vientiane (they have two branches, the one at the river is the one I most like).